Discontent about pay has been growing in the housing sector and members of the Unite housing branch LE1111 are being surveyed about pay - let is know what you get and what you think! .. and dont forget to return the survey to us. Click on 'Download' below to get a pdf of the survey. Nearly 60% of housing workers are dissatisfied with their pay according to a survey conducted by Inside Housing and Hays Social Housing – a consultancy used by many employers in the sector. Read more about that here. Click here for an article on pay claims by Suzanne Muna our branch secretary. As part of Unite’s campaign to increase pay across the housing sector, I am writing to you with a pay survey. Please take a moment to complete this and return it to me, in the freepost envelope provided, by Friday 12th June. Following the survey, we will be producing an analysis of the data for members. The exercise will help us to identify organisations where a sustained focus on pay campaigning will be most productive in helping raise pay across the sector as a whole. A high return from the membership will ensure that we have the most accurate analysis possible. The Unite Housing Workers’ branch will be holding a meeting to discuss the pay survey results received so far and our pay campaign going forward at 6pm on Tuesday 9th June at Unite House, 128 Theobald’s Road, London WC1X 8TN (Holborn tube). I hope you will be able to attend. If you have any questions regarding the survey, or would like someone to come to your workplace to speak about our pay campaign, please contact me. I have along with this letter enclosed a copy of our latest membership leaflet. We want to help you get stronger at work; to get better terms and conditions whilst maintaining standards across housing. 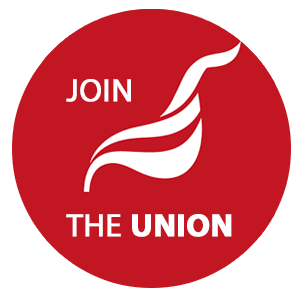 Please use this leaflet to keep building our union, to make our collective voice louder.